Swedish Shielings - A trip back in time and history - it felt so peaceful! Swedish shielings, or “Fäbodvall” in Swedish is a pretty rare sight nowadays unfortunately. Swedish shielings were commonly used to herd cows for summer pastures and making milk, cheese and butter in small huts. Shielings in Sweden date back all the way to the middle ages and have been up and running ever since, but they are decreasing rapidly. People would gather at these shielings/small villages in the summer months, herding the cows through woods and narrow paths just to get there. The herding were mostly done by women and children over the age of five, five being the magic number to be able to walk the sometimes treacherous forest trails. The cows could easily find their own way through the forest just by memory and instinct, but the women and children did not just keep an eye out for the cows, but also they fended off bears, wolves and other predators. They usually had some kind of bell to makes loud noises with to scare the other predators. 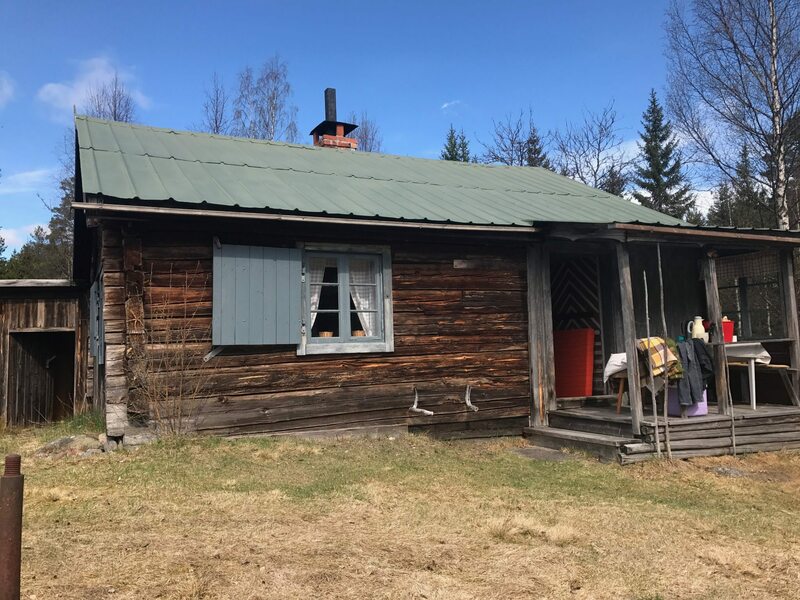 Well, last weekend I visited our family shieling in Hälsingland, one of the few Swedish shielings that actually have people come stay during the summers, although there are no animals there anymore, people still come to tend their houses and keep it nice and cozy there. I spent many summers at our little house and grew up learning how to go on with daily life without running water or electricity. Me, my two brothers and our cousins used to spend a week now and then at the shieling with our grandparents. When we were young, the farm was actually producing milk, butter and cheese, but it has stopped in later years. 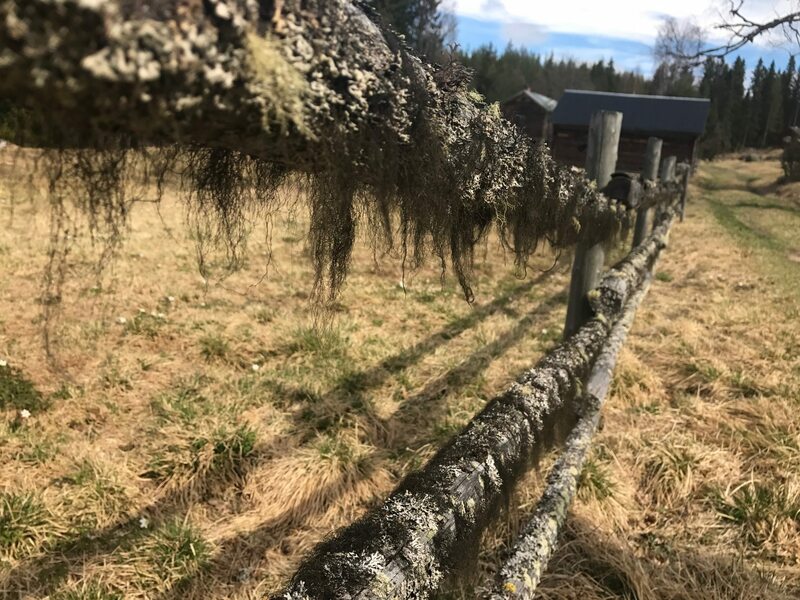 Moss has grown on the fences. This trip, me, my girlfriend, mother and grandmother went there for the first time this year. My grandparents always used to visit the cabin in May of every year, just to check up on it and rakes some old dried grass, fix broken things that the snow destroyed during the winter, and to relax. My grandfather suddenly passed away about a month ago, so this was the first time after his passing that my grandmother went to their cabin. Many memories came up. I took some pictures and shot som video when we where there, just to show you the peacefulness and serenity we got to experience. Please watch them and let me know if you have ever visited Swedish shielings, or any shieling what so ever. 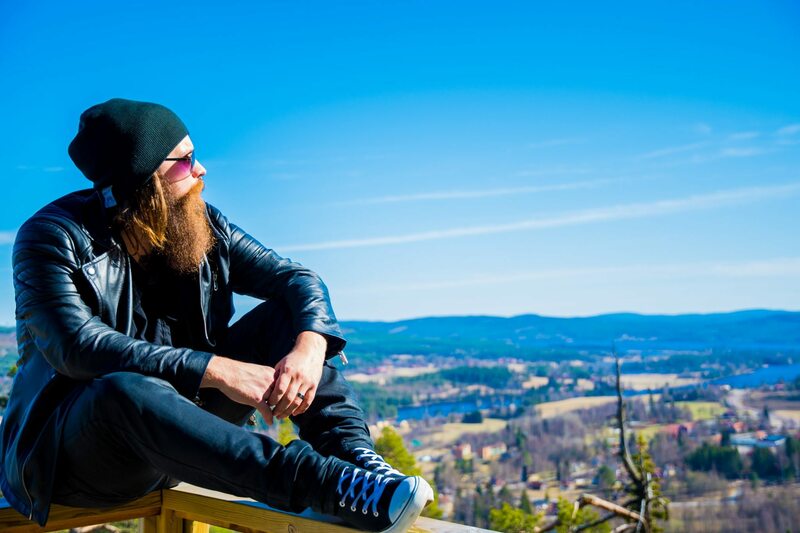 There are actually some shielings in Sweden that are open to tourists in the summer, so if you are planning on visiting one… do it! Shieling in Swedish is called “Fäbod”, “Fäbodvall” or “Vall”, and for more information you can visit the Wikipedia page for shielings, although it’s only in Swedish. A birch trumpet is a type of natural trumpet made of spruce covered with birch bark, used to intimidate predators, frighten supernatural enemies, and convene council meetings. There’s actually a really exciting story about this stone involving trolls, that my grandmother told us kids. I will write a post about that some other day! Edit: The videos blow don’t seem to be working as they should, will try to fix that asap! Don’t forget to read my other posts in the blog! Tommy Wiseau - The House That Drips Blood On Alex... Here we go again!